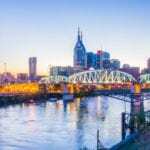 NASHVILLE, TN — Davidson County General Sessions Court Judge Rachel L. Bell works under long-standing local court rules and federal law, she said Monday, offering transparency on how she presides. Judge Bell has been criticized for not calling her own docket. However, her practice is similar to other judges’ management, she said. Dockets may be called by a court officer without a judge present. It’s standard in other counties. Meanwhile, Judge Bell is dealing with a medical condition that she was, at first, reluctant to discuss publicly. Judge Bell has managed Type 1 diabetes for 25 years and a thyroid condition for 11 years, she said. Bell is approaching the conclusion of a 12-month diabetes self-management education program at the Eskind Diabetes Clinic at Vanderbilt Medical Center. Bell feels she’s been forced to speak up and has come to understand transparency is needed. Her use of ADA accommodations is temporary, she said. Several months have passed as she and her physician have been adjusting her medications to bring her body chemistry into balance, Bell said. Judge Bell was elected in 2014 to an eight-year term. In May this year, questions were raised about her administration of the courts where she presides. That’s several months into the 12-month diabetes program. “I am a very compassionate judge and I’m concerned with people’s lives and rendering justice,” she said. Judge Bell restricted her statements to her medical condition and courtroom administration. “People need to be more aware of the law and how it applies to their lives,” she said. Therefore, she’s exploring opportunities to inform the public a The Tennessee Tribune column.